Explore Napa and Sonoma. To make the most out of your California wine tours, explore Napa and Sonoma Valley. Napa Valley is a world-class wine region which offers so many things to do, see, and taste. Try out several wine tasting rooms and restaurants. Check out some of the local hotels and inns. 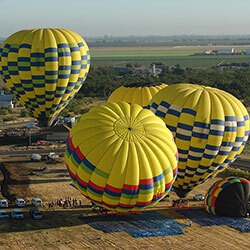 Attend local art exhibitions, museums, live concerts, and hop on a hot air balloon Napa ride! Sonoma has all these things too. And you’ll often find the wineries to be much more budget-friendly, think half the price. Don’t overlook this gorgeous region! Learn true wine-tasting. When you are at a tasting room, remember that drinking wine is both a science and an art. You just don’t drink the wine; it’s more like studying it. Evaluate the wine’s appearance such as its color. Then check the wine’s bouquet, or its aroma. Swirl the wine around the glass – this technique will help the wine to get more exposure to the air. As a general rule of thumb, young wines generally will have more fruity smells, while older wines tend to have more complex aromas such as the smell of oak or grass. After that, take a small sip of the wine. As you do this, pay attention to the weight and body of the wine. It may be light and thin, or rich and heavy. You may want to assess how balanced the wine is. Then finally, savor the wine, or spit it. Don’t be shy to spit the wine if your taste buds don’t agree with it – this is not considered offensive to the staff or to the other tasters. You don’t have to like every wine you taste – just drink the wine you prefer. Rent a car or employ a chauffeur-driven vehicle. You’re in the Wine Country to enjoy, not to engage in some debate on who’s going to drive in the end. The most feasible option is to rent a car and designate someone to be the driver (or switch places). But if you’re traveling in a group, the best way is to hire a chauffeur-driven limo bus where all you have to do is to enjoy the sights, or doze off in the back seat for a while if it’s needed. 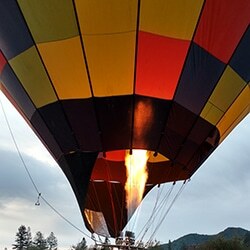 Or better yet, book a hot air balloon Napa ride + wine tour package and get driven to all your adventures! Don’t forget to drink water. While drinking water seems to be common sense, this is often ignored. Make sure you drink enough water whether before, during, or after your wine tastings. Water helps clear your palate between tastings; it also helps hydrate your body. And when you ride a Napa hot air balloon, you’ll want more water as the altitude will change. Don’t try to go to visit too many wineries and vineyards in a day. If you try to visit too many wineries and vineyards at a time, it means that you will spend more time hopping from one winery to another than actually spending time at the wineries themselves. Try visiting 2-3 wineries in a day, at most, and as long as you start early in the day. This will allow you enough time to discover the wineries in a more in-depth manner. With our wine tour + hot air balloon Napa ride, we take care of the travel process. Don’t just visit the popular wineries. Add some thrill and sense of discovery to your itinerary by going to at least one relatively unknown winery. Food and wine pairings are exclusive activities if you would like a private feel. There are a lot of things to do in Napa Valley other than just visiting the wineries and tasting wines. Balloons Above the Valley (BATV) is an award-winning company which has provided tourists safe, enjoyable, and unforgettable hot air balloon rides for nearly 40 years. Gorgeous views of vineyards-laced Napa Valley all year round from the hot air balloon ride? Check. Fresh and hot pre-hot air balloon Napa ride breakfasts? Check. Sumptuous seasonal post-flight brunch with a sparkling wine? Check. Wine tours with a lovely picnic-style lunch at the winery? Check. Shopping options at Oxbow Public Market or The Napa Valley Premium Outlets? Check. Comfort and luxury transportation on a limo bus? Check. Experienced and knowledgeable pilots? Check. Warm, smiling, and accommodating staff? Check. Flying on a hot air balloon Napa ride with Balloons Above the Valley is definitely a “do” when you plan your wine tours in California.